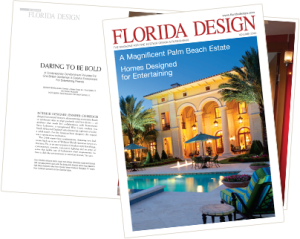 Florida Design Magazine featured J Design Group in Volume 20 #4 where interior designer Jennifer Corredor is given the opportunity to talk about her designs, her inspiration and how she mixes colors and shapes to achieve the final design goal. Jennifer Corredor and our other designers prepare turnkey packages that showcase their experience and qualifications. 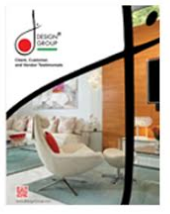 They provide entire project management support- much more than just some décor items and paint. They will give you support from procurement and budget management as well as delivery and installation. “Daring to Be Bold” showcases one of J Design Group’s contemporary designs and showcases why we are one of the best interior design firms in Miami, Florida. 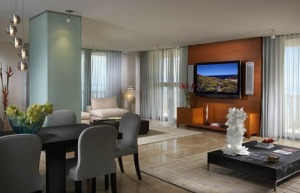 We have over 25 years of experience in high end interior design services and the decoration of both commercial and residential properties. Our designers have worked with communities throughout Florida, including Indian Creek, Fisher Island, Bal Harbour, Miami, Aventura, Key Biscayne, Brickell Key, South Beach, Naples, Sunny Isles, Fort Lauderdale, Pinecrest, Williams Island, Golden Beach, Palm Beach, Star Island, Brickell, Boca Raton, Coral Gables, and many other cities in different states all across USA and other countries. Being featured in a magazine like Florida Design is a real honor and allow us the opportunity to showcase what we are all about. “Mixing shapes, materials and patterns in bold colors simulates a lively club atmosphere and gives an out-of-the-box look,” interior designer Jennifer Corredor says. This is just the type of thinking and design that goes into every project we work on here at J Design Group. illuminates the limestone flooring. Corredor reverses light and dark in the foyer, as beige floors change to gray. A white, pear-shaped light fixture further demonstrates the contrasting, dual-tone theme. In the adjacent dining area, a contoured wall with a layer of handmatched, white-glass pebbles adds a hint of rich texture to the space. A lime green-painted glass wall in the nearby living area is a welcome surprise from the white and black dominating the dining area. Shapes abound in the living area, where a wave-patterned rug picks up the curves of the kitchen’s fiberglass and steel barstools. Nestled in the breakfast area are lighter, more playful versions of the dining chairs. Just outside, a single pop of red dominates the terrace in a hanging Lucite bubble chair. Recurring shapes and colors are used to good effect in the master bedroom, where white, orange and red reign supreme. A low mahogany platform bed offers a full view of the water and blends in with the warm-brown, woven area rug. We were absolutely honored to be featured in this magazine and to get to share some designs, ideas and processes along the way. We are proud of the work we do and it’s great to be able to share that with the design community. Please see our interior design gallery to browse more of what we do and don’t hesitate to contact us with any questions. We’re looking forward to our next interior design project today.